When Michael of MichaelKnouse.com contacted me, he was in the process of outgrowing his old website and brand that we built 5 years ago. Then, he was focused on podcasting and blogging, with some 1:1 coaching for startups thrown in. 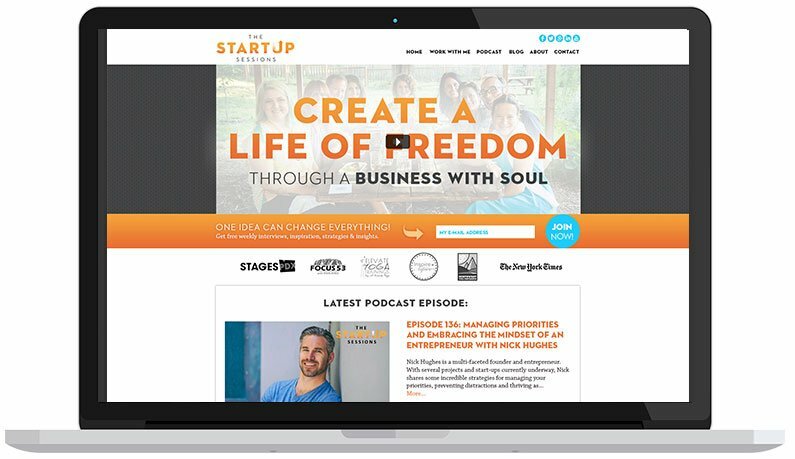 Fast-forward to now, he’s still a podcaster and business coach, but he’s now focused on only premium, impact-driven entrepreneurs for his 1:1 work, as well as teaching and facilitating small group coaching programs so he can better reach the scale he craves. However, none of that was being reflected on his old website. So? We changed that. PRONTO. 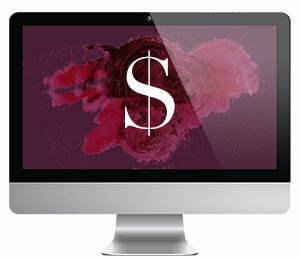 Natalie’s design and digital strategy have generated a big jump in traffic to my site, new opt-ins for my email list and bookings for my services. I now have the right kinds of clients showing up and ready to work with me… no more ill-aligned and awkward client conversations! Annnnd… getting weekly complements on my web site and brand isn’t so bad either. “As an entrepreneur, I recognize the value of hiring ‘A-players’ and letting them do what they do best. I have entrusted Natalie with the digital design and strategy for two websites and a complete brand overhaul. Natalie’s deep experience and understanding of digital brand strategy is what sets her apart. It’s so rare to find an artist, strategist and project manager all wrapped into the same person that ‘gets it.’ My business and brand are in complete alignment with how I want to show up online and that gives me a profound sense of confidence. The best part about working with Natalie is that she makes it all so easy. The process that she uses is so dialed in and well defined. Natalie’s process allows me to relax while she works her magic. From day 1, she created a Trello board that kept the design project moving along and organized with crystal clear objectives and expectations. And just when I thought it couldn’t get any better, Natalie presented me with a killer opt-in, fully integrated into a new email autoresponder series that created immediate value and rapport with the new members of my digital tribe. If you care about your brand and your vision and having these be presented to the world with remarkable beauty and clarity, I would tell you that your search for a digital designer is over. Natalie is probably not your cheapest option, the good ones never are, but she is worth every single dollar and then some. First, we started with a fresh, new logo since part of the re-design involved changing his business’s name (The Startup Sessions) to his actual name so everything would feel more personal and specific to him. Since Michael’s biggest core values are adventure and play, and it’s weaved into all of his coaching programs, the logos explore themes of travel (compasses) and the outdoors (mountains) to set the stage for Michael not being any ordinary business coach. Since Michael already had fresh new photography taken, next we worked on his website mood boards to showcase Michael as a beacon of adventure, play, purpose, and possibility. With gritty textures, watercolor treatments, saturated earth tones, and handwritten fonts, quickly a personal brand took shape that welcomes the viewer to dream big, let go, and have some fun. Once the Mood Board was settled, we set out to design the actual website. We started with a large hero photo of Michael with his value proposition so immediately viewers know that he’s not any ordinary business coach that glorifies “the hustle.” We then lined up places Michael has been featured online for some social proof, and went into some specifics of Michael’s ideology. Next are a feed of his latest blog posts, followed with ways to work with him. As we near the bottom of the page, we have two conversion areas, one where people can opt-in to join his email list, and another where people are invited to contact him for a free consultation.